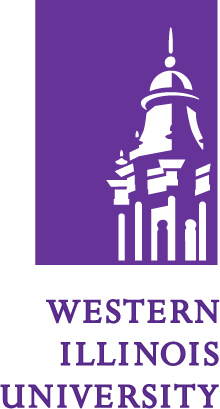 MACOMB, IL -- As a result of the budget impasse and probable reductions to state appropriated funding for higher education, Western Illinois University President Jack Thomas announced today (Friday, Feb. 26) the University plans to cut $20 million over the next two fiscal years (Fiscal Year 2017 and 2018). Various strategies to conserve resources will be implemented in Fiscal Year 2017 including reducing contracts from 12 to 11 or 10 months for select administrative positions; closing and/or combining select offices/units; reducing 100 personnel (faculty and staff) across divisions; implementing a hiring freeze (effective immediately); and reducing the hours of various offices/units. "We are making decisions that will preserve the educational enterprise," Thomas said. To date, for Fiscal Year 2016, the University has made appropriated budget reductions of approximately $5 million. However, in an effort to meet operational expenditures for July and August, the institution plans to further reduce its FY'16 expenses by an additional $4 million by June 30. Without a state budget and additional reductions across divisions, payroll obligations will be difficult to meet for July and August. As part of the immediate cost-saving reductions for FY'16, the University will limit spending to essential needs only and travel is restricted. In addition, mandatory furloughs will be implemented for all non-negotiated personnel (both administrative/non-academic and civil service personnel not covered by unions) beginning April 1. Full details regarding the furlough program will be released next week. "Because there is not a present path toward ending the budget impasse, we must move forward with plans to put furloughs into place for non-negotiated personnel. Additionally, we have upcoming contractual salary increases scheduled with collective bargaining units, and thus, we must move forward with further FY'17 reductions to protect our ability to implement these increases," Thomas said. "We must brace for the difficult times ahead. We must protect the cash resources of the University in order to continue to provide services to our students and prepare for Fall 2016. "Without these reductions, we risk jeopardizing the entire enterprise. Furloughs and reductions in personnel and programs are necessary to protect the overall University and this community. We are committed to protecting as many jobs as possible," he explained. "We will continue to do what is best for this institution to ensure a strong and viable university that exists to serve students and its host communities for decades to come. Our hope is our governmental leaders will end this unprecedented impasse and recognize that our public universities need our state funds to operate and continue to support our students."